Questar III offers a wide variety of learning programs, ranging from pre-K to adult education, in Rensselaer, Columbia and Greene counties. Adults – please contact Chris Foster at CFoster@questar.org or 518-479-6838. Career and Technical Education (CTE) – please speak with your parent/guardian and school counselor. More information on how to enroll is available on our enrollment page. New Visions – please speak with your parent/guardian and school counselor. More information on how to apply is available on the New Visions page. Pre-Kindergarten – please contact your home district about the availability of pre-kindergarten programs. Questar III runs programs for Berlin, Cairo-Durham, Hudson and Ichabod Crane. Special Education – please contact your school district’s Committee on Special Education (CSE). Children are placed in Questar III’s special education programs at the direction of the CSE. 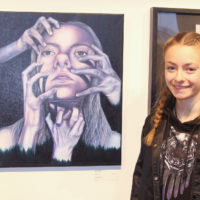 Tech Valley High School® – please visit http://techvalleyhigh.org/Admissions for more information. Questar III also offers trainings and workshops on a wide variety of topics including instructional strategies, learning standards, safety and finance. School Improvement – please register online for all Questar III School Improvement workshops and trainings through MyLearningPlan. 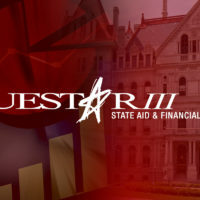 State Aid & Financial Planning – Business officials and superintendents looking to attend a regional workshop should visit https://www.questar.org/services/financial/state-aid-financial-planning/workshops/. Questar III offers workshops for mandated training in DASA (six-hour course on bullying and harassment). Please contact Lisette Lopez at 518-479-6833 or LLopez@questar.org about availability. Visit http://www.highered.nysed.gov/tcert/certificate/dasa-applicant.html for more information on requirements for licensing and certification. Questar III’s Health & Safety Service also provides trainings in Right to Know and Blood Borne Pathogens. Visit http://hs.questar.org if your district uses this online system. School district staff should refer to registration materials for specific information on other offerings.